We first met Philip at Spring Harvest in Minehead a few years ago when he visited the Cambron stand. 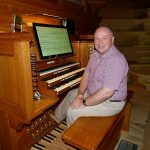 Some time later, his interest in Power Music was re-awakened when he read an article about another famous organist, Kevin Bowyer, who uses Power Music at Glasgow University Chapel and for recitals around the world. 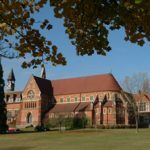 Philip now uses two Power Music systems – a 27 inch touchscreen system in the chapel of Cranleigh School and a 24 inch touchscreen system for performing “on the road”. 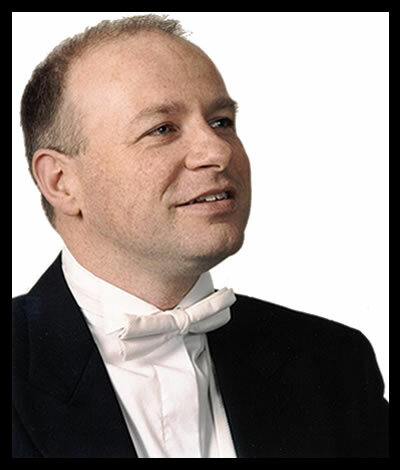 He has made numerous recordings, and his two latest CDs of jazz-inspired organ music and a transcription of Holst’s “The Planets” are soon to be released. His CD “Piping Hot” was praised in “Gramophone” magazine for “the outstanding quality of his playing … good-humoured and sparkling … a joy to listen to”, and he recently performed transcriptions of Tchaikovsky’s 4th Symphony and Stravinsky’s “The Rite of Spring” as part of the Grand Organ Festival in Westminster Cathedral. I have been using Power Music for a few years now, and can still distinctly recall the first time I saw Gordon demonstrate its wide-ranging capabilities at Spring Harvest – I remember thinking that this programme was simply too good to be true! 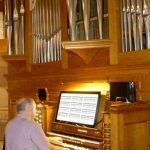 It seemed to be the perfect solution to so many of the issues, problems and challenges that a church musician and concert organist faces, and it has since become an indispensable part of my musical life. I use two systems, which I keep in sync with each other – a 27-inch touch screen system (which stays permanently in Cranleigh School Chapel, and which I use on a daily basis), and a 24-inch portable system (which I take with around me when I travel for concerts). 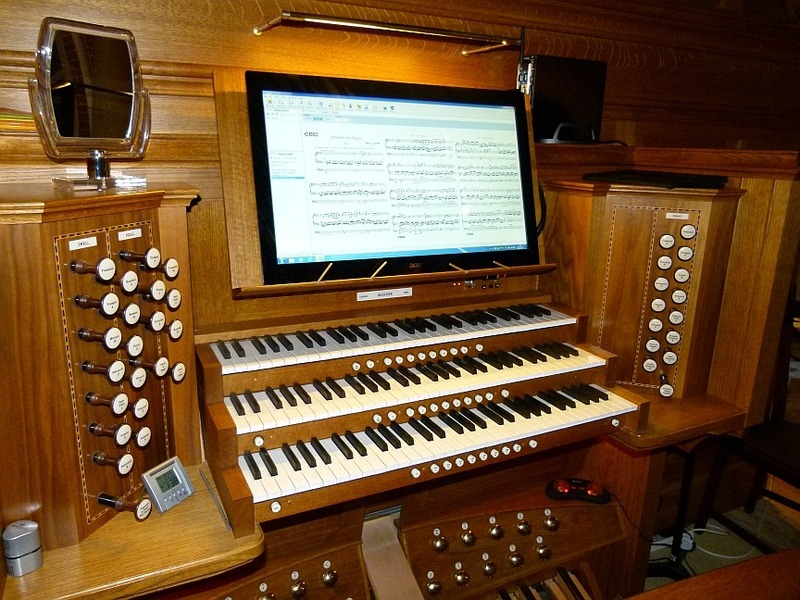 Both systems use Power Music Professional, which is the best programme for storing and displaying music that I have ever come across. 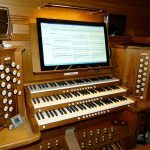 Gone are the days when I had to lug around huge volumes of music in my bag – I now have my complete library instantly available at the touch of the screen. No longer do I have to wear my music scores out with pencil markings, rubbings out and sticky bits of paper, showing different registrations for different organs – the multitude of available annotations allows me to add whatever markings I need for each individual performance electronically. “Power Music” has revolutionised my musical life in a way that I could only have dreamed of a few years ago, and I simply cannot recommend it highly enough.